Self-adhesive 60 mil HDPE waterproofing membrane with super tacky compound for use with patented, water-based System 4000 Surface Conditioner (included with roll). MasterSeal 615/700B is a cold-applied water-based emulsified-asphalt dampproofing and vapor-retarding coatings for use on “green” or slightly damp surfaces. 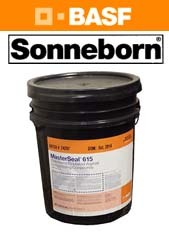 MasterSeal 615/700B is reinforced with short fibers for application by brush or spray. 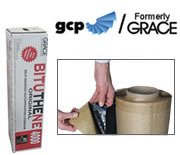 Self-adhesive, rubberized asphalt/polyethylene waterproofing membrane for air and vapor barrier applications. 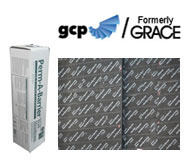 Perm-A-Barrier WB Primer is a water-based primer which imparts an aggressive, high tack finish on the treated substrate. Heavy polyethylene backed tape with high tack adhesive for securing film around metal window frames. 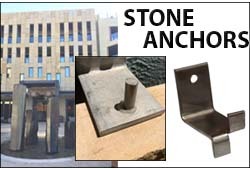 UV resistance ensures clean removal for up to 30 days. Easy to unwind and tear.